The CJ is popular because it represents a great balance between efficient business tool and personal leisure vehicle. 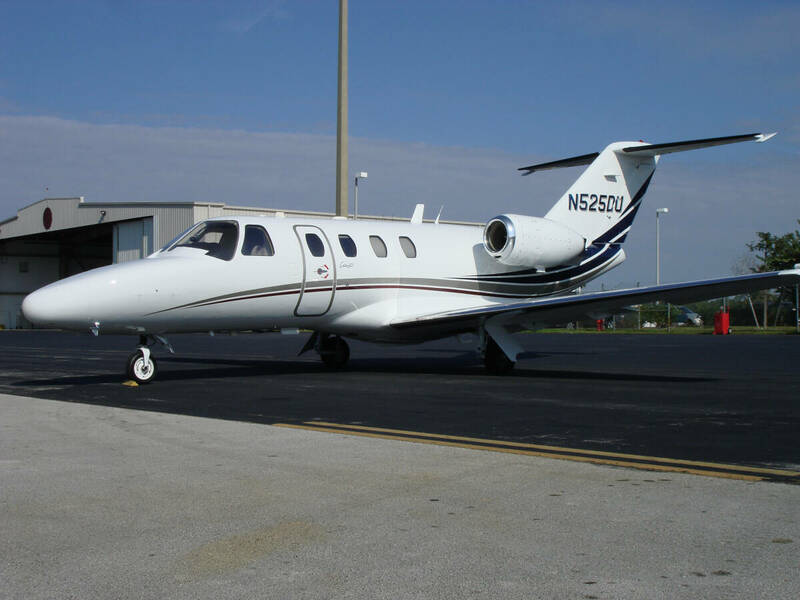 This Houston based CitationJet is a no excuses aircraft and a perfect example of a well cared for CJ. TAP Elite. Cescom available upon request. TAP Elite, Excellent Paint and Interior, IHAS8000 TCAS/TAWS/MFD. 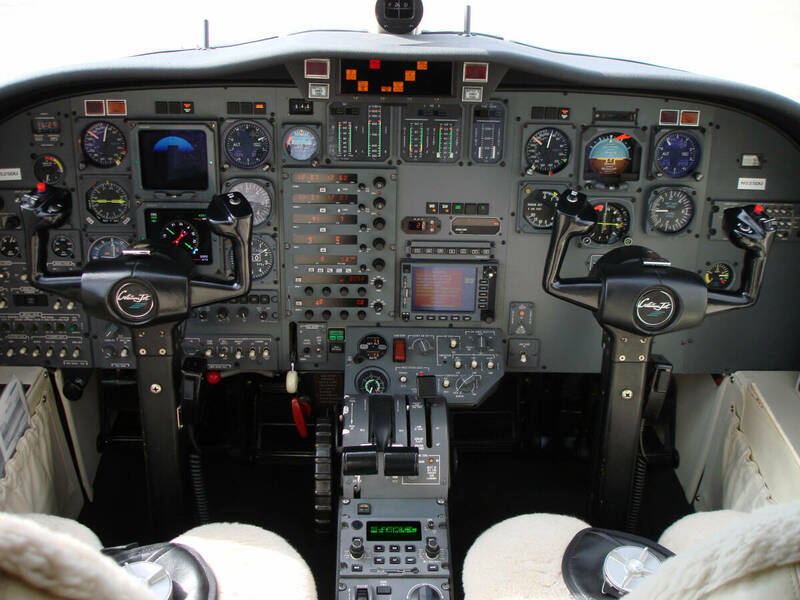 RVSM Compliant – Shadin Ind – ADC-200 Air Data Computer – HF Provisions – Woodward Engine Synchronizer – 50 Cu. Ft. Oxygen – Eros Oxygen Masks – Monorail Sunvisors – Overwater Life Vests – Tail Logo Lights – Baker Audio Amplifier – Portable DVD/CD Player – Locking Fuel Caps – Freon Air Conditioning – Indirect Lighting – Anti-Skid Brakes – CESCOM. The aircraft exterior is painted Overall White with Silver Metallic, Navy Metallic and Burgundy Metallic accent stripes. New in August of 2006. This aircraft interior was New in May of 2006. 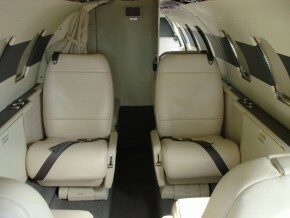 It is configured for Five Passengers with Aft Club and a Forward Side-Facing Seat. 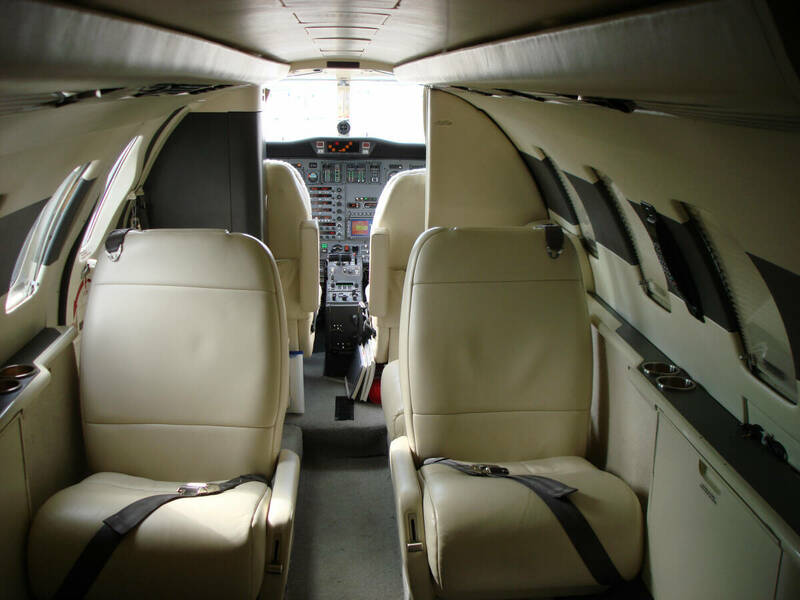 The seats are finished with Off-White Leather with Charcoal Accents and Tan Trim. There is an Off White Headliner, a Forward Left-Side Deluxe Refreshment Center with Mapco, Dual Executive Tables, Dual Midship Pyramid Cabinets and an Aft Right Side non-flushing Lavatory.